In which we see the value of rational thinking. We all behave irrationally at times. I like to think that I am rational about most things but I do have an irrational dislike of rugby league. I am passionate about rugby union but the similar code leaves me very cold. In fact one of the first things that I said to my first son was not some memorable gem or a quote for the ages but rather the comment that "You won't play league"! In my line of work as an evolutionary biologist I do occasionally come across less than rational thinking when I encounter creationists. In New Zealand we don't have huge numbers of people in this group (but probably more than you would think). Surprisingly, I very seldom run into them at university - I guess if you are attending a course called 'Evolutionary Biology' you can hardly complain about the content. I did see an example of this last weekend at the Ecoblitz where I was giving a talk on kiwi and what these amazing birds tell us about New Zealand's history. I mentioned various adaptations that they have, the length of time they have been in New Zealand, how they are related to other ratites and so on. The audience was made up of teens from various schools and four or five from a christian school had to get up and leave (rather than risk eternal damnation I suppose). These schools must struggle with a lot of biology because, as the old saying goes, nothing makes sense in biology except in the light of evolution. In New Zealand there is one debate that seems to be a magnet for less than rational thinking. I have seen this debate transform intelligent and worldly people into irrational, conspiracy theory riven fanatics. I speak of course about 1080. 1080 is a form of the toxin sodium fluroacetate which occurs naturally in plants in the Fabaceae family where it acts as a deterrent to leaf browsers. 1080 is widely used in New Zealand for control of introduced mammalian pest species where it is delivered in baits (usually cereal based) that are either dropped aerially or put into bait stations. It is extremely effective in controlling possum populations which are a major target in New Zealand. Large areas of New Zealand's conservation land have 1080 operations which successfully reduce possum and rat populations by over 90%. With these predators and competitors removed, native species, especially birds and invertebrates, tend to do well and their populations grow over the next few years until possum and rat numbers recover. This somewhat drastic approach works well in New Zealand as there are no native mammals that will take these baits and therefore no non-target species to eat the toxins. Since the 1950s there have been thousands of operations and hundreds of scientific studies and publications. Techniques for delivery have been refined (less than 10% toxic bait is now used because we have gotten better at spreading it where we need to), behaviour of pests in response to 1080 is better understood (reducing unwanted behaviours, like bait shyness where individuals eat enough to feel sick but not enough to have a lethal dose) and impacts on non target species are better understood (there are various repellants that can be added to discourage species like deer or kea from eating the baits). The advantages for the populations of native species, from plants to insects to birds, has been demonstrated in many studies. And yet. And yet there is a strident group within New Zealand who make wild claims about 1080. You can't drive around New Zealand with out seeing signs like "1080 kills everything" or "DoC poisons our birds". Claims are made that 1080 is poisoning the groundwater and it isn't safe for pregnant women to be in the same catchment as a poisoning operation. None of these claims seem to be based on any actual evidence and it's hard to see why these things would be correct. No one has every explained to me why the Department of Conservation would want to poison native birds after spending decades building up these populations, for example. The Wilderness Magazine has just run an article in which they look at ten beliefs about 1080 and get some information on these beliefs from three experts, Dr Jan Wright (the Parliamentary Commissioner for the Environment), Dr James Ross (a wildlife management scientist who is in the office next to me), and Dr Penny Fisher (a toxicologist with Landcare Research and a former PhD student of mine). To read the article you need to buy a copy of the magazine but the article is summarised here. Ten beliefs about 1080 are discussed. What this discussion shows is that 1080 is indeed a toxin that will kill most animals if they eat enough of it (which is why so much research has been on delivering the toxin in minimal amounts to precise areas with specific targets), 1080 remains our main toxin because it out-performs all other toxins that have been trialled/used so far, native ecosystems do not recover without intensive and ongoing pest control, non-target organisms will occasionally take a poison bait but the benefit in growth to local native populations outweighs these deaths in the medium term, and that 1080 does not enter groundwater (in fact there are native plants that contain their own sodium fluroacetate). It's a timely article (and there is a large scientific literature if you want to know more of the details) but do I expect an outbreak of rational thinking? Of course the issue with beliefs is that they are difficult to change. So I suspect we'll still be discussing 1080 for many years to come. For more on this topic you can read articles on possum home range changing with density, the fate of toxins in pest carcasses, using sound to better lure possums to baits, stopping kea eating poison baits, assessment of different toxins, possum impact on vegetation, a new stoat toxin, a new toxin for wallabies. Over the weekend Nina Valley played host to about 200 high school students from around the South Island, 30 or so teachers, and 50 ecologists. 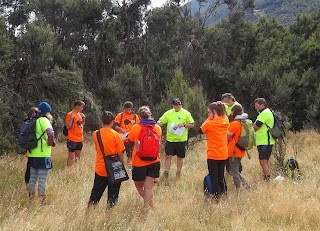 We were there to participate in an ecoblitz in Nina Valley and around the Boyle River area near Lewis Pass deep within the Southern Alps. The goals of the ecoblitz were to introduce high school students to ecological sampling in a real field situation as well as to collect information on diversity and distribution of species within the area. This area is increasingly being used as a research focus as great spotted kiwi are being released into Nina Valley and Lincoln University locate a major field trip there. Planning for this event has taken well over a year. Nina Valley is a logistically difficult place to work and stay in. Tim Kelly, Jon Sullivan and Tim Curran, in particular amongst a cast of dozens, worked hard to get this concept up and running. I noticed a few extra grey hairs with these guys by the end of the weekend. Not only did they have to figure out how to keep 200 high school students happy and busy for a weekend, worry about safety in the mountains but they had to organise researchers (always difficult). 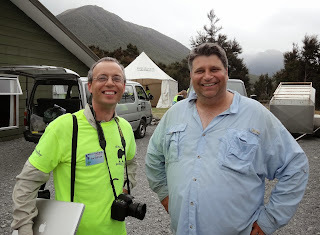 In addition, when they all turned up ready to tent for two nights, the forecast was for a visit from cyclone Lusi. I was there to help set out mammal monitoring equipment (tracking tunnels, trail cameras, wax tags) around the various plots set up in the valley in grassland, scrub and forest. I also gave a talk on kiwi and what they tell us about the biological history of New Zealand. When the kids weren't helping to gather information from our research plots they were taken in groups to see how to monitor for specific groups of organisms by experts. 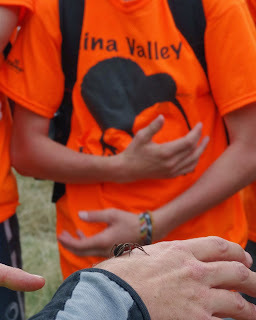 I took groups to show how we monitor mammals (including spotlighting in the evenings), spiders, and birds. The energy of the kids was fantastic and the questions that I fielded were of a really high standard. 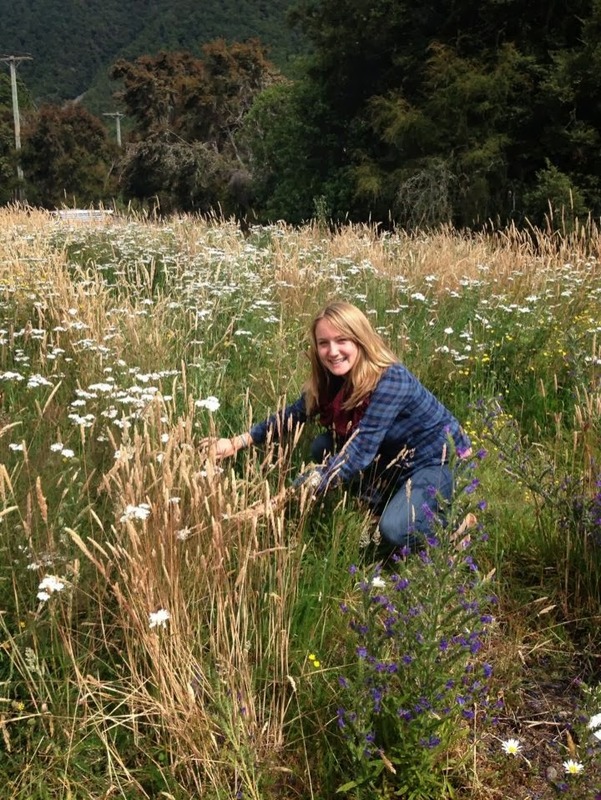 It seems that the future of ecology in New Zealand is in good hands. We were incredibly lucky in that the cyclone went around our alpine valley and we had no real rain. Overall, the ecoblitz was a huge success. The next step is to look at the data that was collected and to get a handle on the diversity present in the area. That is something that will take a few months to put together and will be the icing on this particular cake. Stay tuned for an update! In which we see that maths and stats are at the heart of ecology. One of the things about aging, gracefully or otherwise, is that you obtain a better appreciation of being organised. That's not to say that we necessarily get better at organising ourselves as we age but we can certainly see its advantages. This is particularly the case when you have teenage boys. In the summer ours is a cricketing household. Cricket takes up most of a day, has a lot of gear and, for us, can be played all over Canterbury. So a high degree of organisation and planning is required. Food and drink need to be taken, sunblock applied and kept ready, white clothing cleaned and in gear bag, pads and gloves dried from the previous game and in the bag, spikes for grass wickets put into shoes after being taken out for last week's artificial pitch. Or at least that is what I mean when I say to my sons "I want you ready to go in 30 minutes". "Yes, yes, already done" they reply. Unfortunately, 'ready to go' means something rather different to a teen. To a teen 'ready to go' actually means 'I will be sweet as long as everything is where I threw it a week ago (unlikely)'. Hilarity ensues (if by hilarity you mean yelling, cursing and rising blood pressures). A similar situation is present in ecology teaching. As you gain experience in ecology it becomes painfully obvious that you need to know a lot about numbers, the joy of statistics, the call of calculus, the - well you get my drift. Ecology can be data rich and there are some very sophisticated approaches to analysing and modelling data. Getting a good grounding in statistics and so on will help you to understand ecology fully, allow you to access the science literature in depth and allow you to design a robust study of your own. 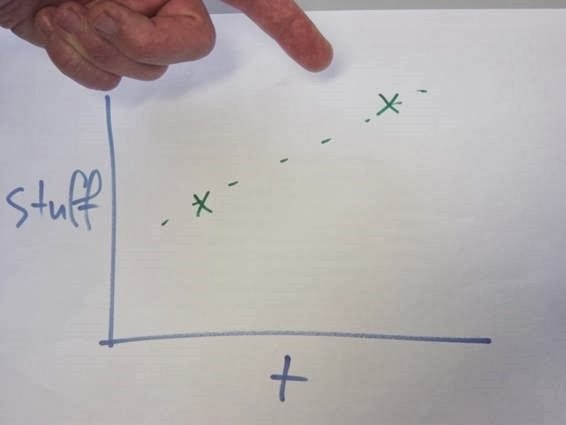 The Department of Ecology have just revamped their curriculum to add more quantitative methods to what the students learn.So we say to the students "maths and stats are good for you and your ecology, take all opportunities to do these things". Of course what the students hear is something more like "maths and stats are frightening and should be avoided at all costs". Hilarity ensues (if by hilarity you mean yelling, cursing and rising blood pressures). A number of ecologists, including our very own Tim Curran, have just published a study in PeerJ. In this study they surveyed early-career ecologists about what they thought of their maths and stats training during their time at university. Over 900 people responded to the online survey, the majority were current PhD and Masters students, mostly from Europe and North America. About 75% were not satisfied with the amount of maths and stats that they had done, 90% wanted more math classes in degrees and 95% suggested more statistics classes. I suspect that if we surveyed our own students that we would obtain similar results. So why don't we have more quantitative courses in our degree? We have just changed or courses at Lincoln and they do have more quantitative components but nothing like what is being suggested here. There are a couple of reasons. First, if we surveyed other ecological areas, like knowledge of particular groups, say plants or beetles, then students would likely give similar results. They want to know more, that's why they are students. Second, undergraduate students, as a group, really loathe maths and stats. When we have have tried to bring in courses with more math they have not done very well as students tend to avoid them. Third, this survey is a reasonably 'biased' group. It is made up of academic ecologists who do need these skills. However, the majority of students enrolled in ecology do so for other reasons than a career in research. So what should we do? We know as professional ecologists that maths and stats are really important. However, telling people what's good for them very rarely works (even when you are right).... So I guess patience and small changes with the long view in mind are the only real way to change behaviour. Something I need to tell myself tomorrow as I try to get my cricket boys out of the door.